the diversity of Indian society in finely observed detail. Swoboda died in 1914. 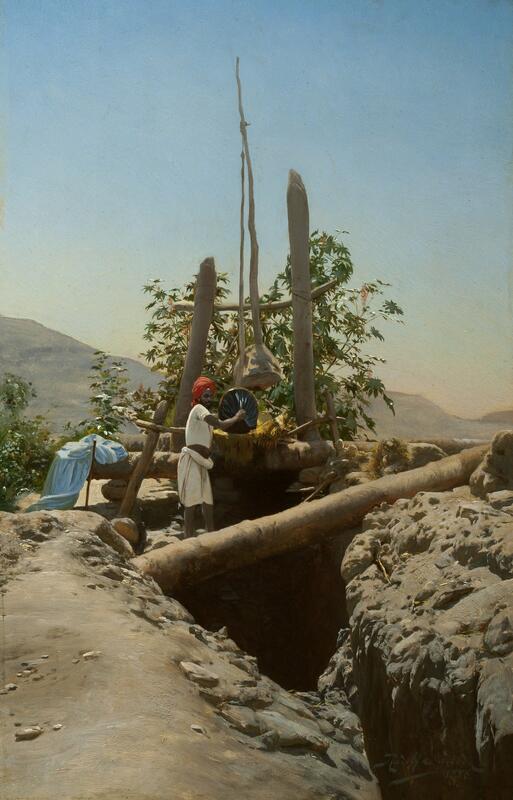 The present work depicts an Indian man drawing water for an irrigation system.